The Hidden in Plain Sight. interesting pieces of information within US SEC regulatory filings. Contexxia leverages the large amount of publicly available data and presents changes in Text, Numbers and Events from previous periods. Analyze changes to textual content in the document. Spend less time looking for changes. Use Contexxia's semantic change markers to find new and changed content. Spend more time analyzing and researching the changes. Use "as reported" facts from a company's financial statements and footnotes. Analyze richer financial data, spot changes in accounting and reporting. 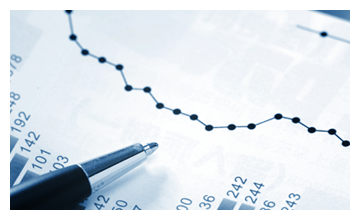 Contexxia's Numeric Line features XBRL data for in-depth analysis into hundreds of data points. 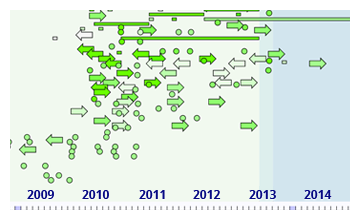 Contexxia's Events Timeline shows semantic changes based on events reported by a company. It provides unprecedented insights into implicit and explicit timelines and events mentioned in company reports. Use this completely new view to gain unique perspectives and perform deeper analysis of SEC filings. 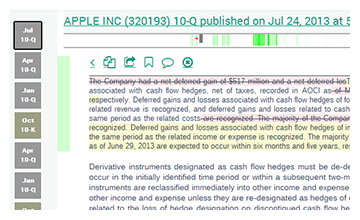 Discover, bookmark and comment on interesting text, events and financial data in SEC filings. Create personalized portfolios and reports using your private workspace within Contexxia. Collaborate with your colleagues and investor friends. Export data from financial statements into spreadsheets, share interesting content with your social networks like Twitter and Facebook. Contexxia uses automated technologies to identify textual changes in documents. Instead of a mere line-by-line comparison, it provides a “semantic comparison” of changes between two filings. Users can immediately view the important changes in the document. In addition to textual changes, Contexxia also leverages XBRL technology to provide insights into hundreds of data points (numerical facts) in a corporate filing. It utilizes "as reported" facts from a company's financial statements and disclosures to present additional details for deeper, richer analysis. Contexxia provides the user unprecedented insights into implicit and explicit timelines and events mentioned in company reports. It presents a events timeline to depict all periods and related data (textual and numeric) present in a document. This presents the user with a hitherto unavailable and unique perspective to reading SEC filings. Contexxia allows users to discover, bookmark and comment on interesting fragments they find in these documents. It enables users to export data from financial statements into spreadsheets and also generates reports based on bookmarks and comments. Contexxia also connects users to co-workers, friends and others through integrations with some of the largest social networks including Twitter, LinkedIn, Google+ and Facebook. The best way to navigate the web of company filings online. Gain significant insights into SEC filings without the immense effort required to find important information that can be critical to the research process. Collaborate and share information with colleagues and peer groups during deep dives into a company's filings. Identify period-over-period semantic changes and spot reporting trends without the effort of having to move between filings. Bookmark and comment on various pieces of information in a filing that can be retained for future review and reference. Utilize unique perspectives for viewing and analyzing the filings, including a text comparison view, numerical view and an events view. Ability to review specific sections of the filings and gain near real-time access to the changes reported as compared to a previous period. Instantly view the way a company’s key financials have changed from period to period using Contexxia's Numerical analysis capability. The tool further allows to drill down into the details of the changes. Export tables to Excel to enable users to include the data into regulatory workflow processes such as creation of Comment Letters and for doing Risk Analysis. Use the variety of views that Contexxia provides, including viewing textual changes, numerical data and a unique way of viewing and tracking events. The Events View enables the user to keep track of, and follow, forward-looking statements such as projections, announcement of future actions and commitments made by the company in a previous period. Conduct deep research into company filings by tracking movements and changes in reporting elements and facts in financial statements, notes and other disclosures. From label changes to XBRL tag changes, accounting firms now have the ability to conduct extensive research of company filings. Find changes made anywhere in the document by leveraging Contexxia's textual change view that identifies and highlights changes by using semantic techniques. This enables users to find changes irrespective of location of content, even as companies change the location of specific disclosures from period-to-period. Monitor user feedback about the document sections and fragments that have generated significant interest amongst Contexxia users. 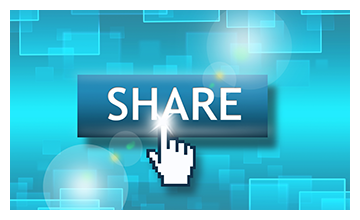 Review user sentiment by analyzing comments posted about the filing or company. Receive feedback on hot fragments, positive/negative reviews, identification of sections that could be changed for future periods. The philosophy behind Contexxia is to revolutionize and modernize the way public company regulatory filings are used for research and analysis. 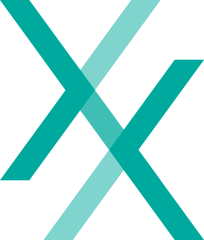 By leveraging our vast experience with the regulatory disclosure process and by applying advanced, patent-pending Natural Language Processing and statistical algorithms, Contexxia aims to be the go-to repository for corporate research and analysis. Email us at info@contexxia.com to learn more. Ez-XBRL Solutions, Inc. is a global provider of products and services for Financial Analytics and Financial Regulatory Compliance. Headquartered in Virginia, USA and with operations in the UK and India, Ez-XBRL Solutions has been a leader in the space of technology-driven business reporting and analytics. Learn more about Ez-XBRL Solutions at www.ez-xbrl.com. If you want to make a significant impact in the fast-growing fields of analytics, you may be the person we are looking for. The Contexxia team has big thinkers like you who are creating the next generation of software for analytics. Now's the time to show the world what you've got. Put your ideas to work to develop solutions that will affect practically every major corporation in the world. We have complex problems to solve in the space of public company reporting. We are looking for creative people who can help us mine this huge dataset and turn them into unique product offerings. If you are an expert at wrangling huge datasets and coming up with interesting algorithms for new products, you may the right fit for us. Experience using R, Octave, Matlab or equivalent statistical/data analysis tools. A strong mathematics background, particularly with regards to calculus, matrix arithmetic, statistical distributions, and probability theory would be a plus. Some programming experience, Natural language processing experience, practical experience with Hadoop or Redis, and Machine Learning techniques would be useful.